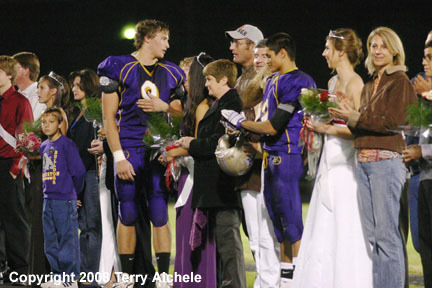 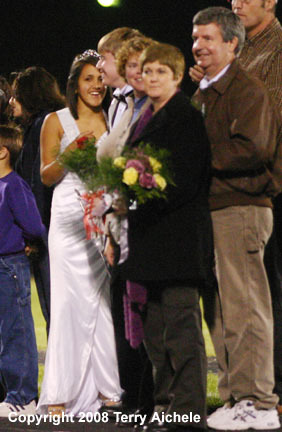 Members of the Hermiston High School homecoming court and their families at the halftime activities Friday night..
HERMISTON - Hermiston High School held its 2008 homecoming events at halftime of the football game against Hillsboro on Friday night. 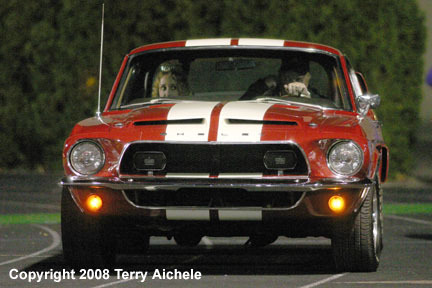 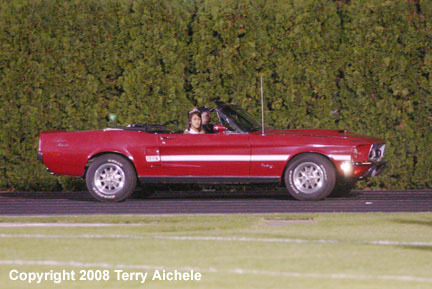 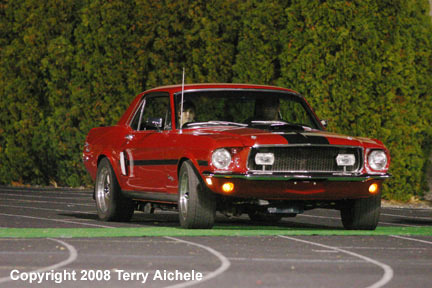 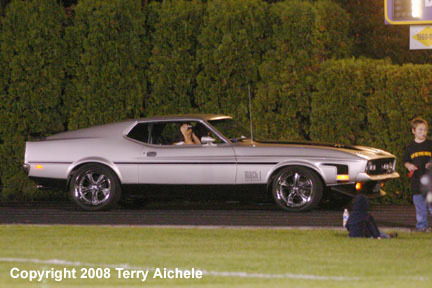 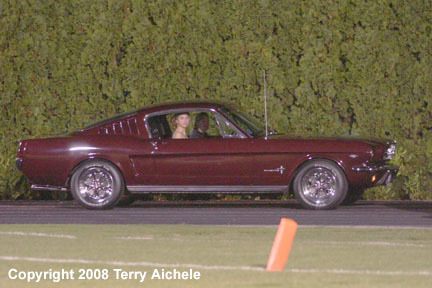 A string of classic Ford Mustangs from the 1960's through the 2000's were used to bring the princesses into the stadium. 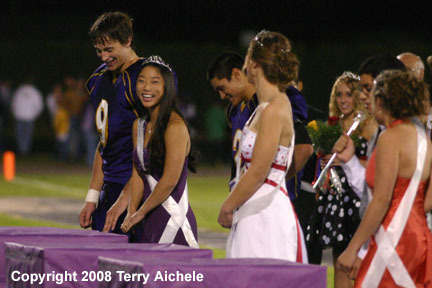 A fireworks show which may have surpassed this past summer's 4th of July fireworks display finished out the halftime spectacular. 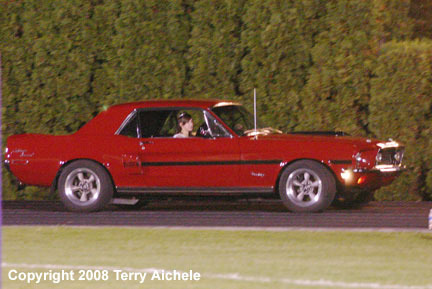 <!-Lindee Burgett of South Wasco hits a shot at Lauren Elligsen of Echo during the match on Friday.